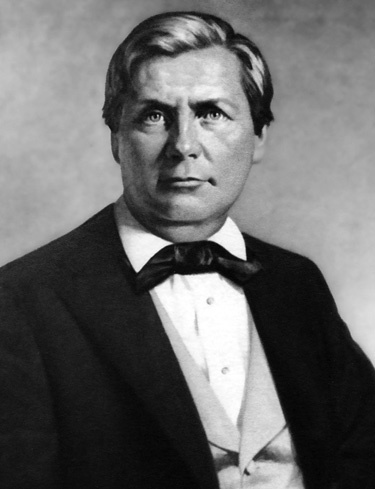 One of the more unique individuals that I ran into in my research was Carl Erik Engelbert Sjödhal, better known in the US as (William) Charles Linn. He was born June 13, 1814 in Pohja, Finland. Like many Finns he became a seaman crossing the Atlantic over 50 times and going around the world three times. But his real story starts when he settled in Alabama in 1838, as a merchant. Having built a good business over 23 years, he would sell it all at the start of the American Civil War. He became a Confederate States Navy sea captain. At the helm of the CSS Kate Dale a steamer ship, he would become a blockade runner transporting cotton to Liverpool, England raising funds for the Confederate States. He and his oldest son, Charles William, would be captured on July 14, 1863 off the Tortugas in the Florida Key by the USS R.R. Cuyler after sailing from Mobile Bay. They were taken to New York and paroled. Linn would return to life as a merchant with a grocery warehouse, Flash Lewis and Company, in New Orleans. Probably in Algiers, as there is a road named Finland Place. It was during this time that he would help several Finnish families to immigrate to work as labor for his warehouse. Some nine years later and after his son’s death, he would sell the warehouse to retire in Mobile, Alabama. On October 17, 1872 Linn would be persuaded by Elyton Land Company president James R. Powell to form the National Bank of Birmingham in the newly formed town of the same name with $50,000. The following year, Linn would be elected to the Birmingham Board of Aldermen with Powell as mayor. His son, Edward William, would run the bank. In addition to the bank Linn started to other businesses in the newly formed town of Birmingham. The Linn Iron Works and the Birmingham Car and Foundry Works. He is also accredited with creating the first park in the city. He would die in 1882 as one of the richest men in Alabama and was laid to rest at the Oak Hill Cemetery.